The Under 11s and U12s train together on Monday evenings at Toynbee School, Chandlers Ford with young players working on developing new skills and strength on court, whilst having lots of fun learning their sport and making new friends. The U12s compete in the Hampshire Junior League as well as taking part in tournaments throughout the region. 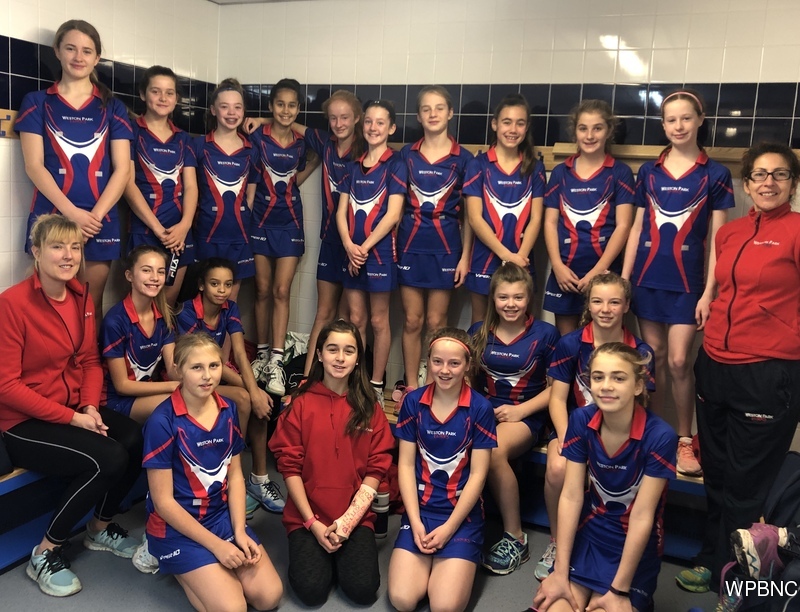 Players come from many different schools and Weston Park Blades offers a happy opportunity to start a netball career at a high performance club that loves to see young players enjoying themselves and playing great netball too! New players welcome throughout the season! The Under 12s usually train on Monday evenings from 7:15pm to 8:30pm at Toynbee. This is Promise, she’s 10 years old and is in class P3 at New Eden School. Her favourite subjects are Science, geography, maths and her hobbies are running, reading and, of course, netball – she plays GA/GS. Her family are very poor and the U11s and U12s are sponsoring her via YuYo to help her get the schooling that will change her life.